Bill Foster accepting the Initiative Award on behalf of the Espanola Lions Club. 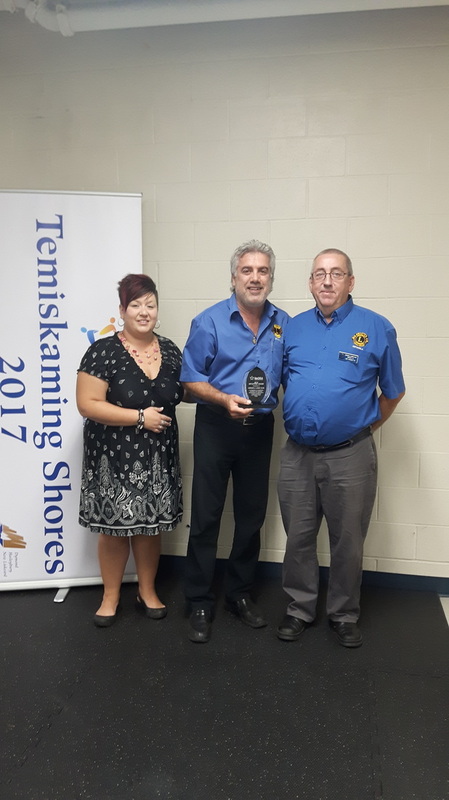 Robert Luopa (right) and Brenda Salow (centre) accepting the Award of Distinction on behalf of the Beaver Lake Sport and Cultural Club. 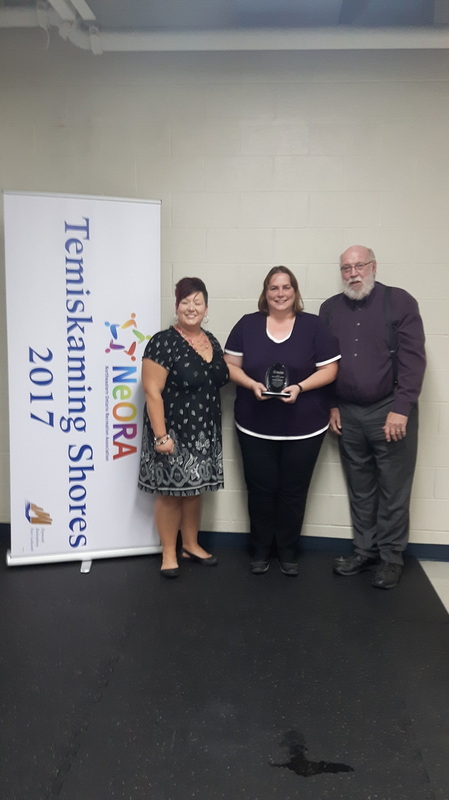 Pauline Demonski (right) accepts the Award of Distinction for her many years of volunteerism in the Town of Espanola. This year's President's Award recipient was Amanda Nadeau. 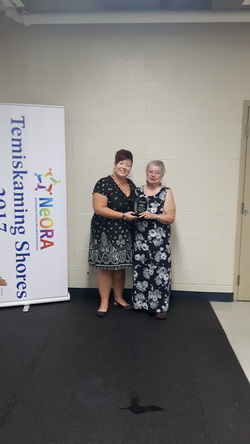 Amanda Nadeau (right) accepts the President's Award from NeORA President Renée Paquette.